TWENTY-SOME MILES off the coast of Southern California lies an island famous for glass-bottom boats, epic scuba and snorkeling spots like Lovers Cove, and panoramic views of the Pacific. Santa Catalina Island is its official name, though any local will call it Catalina. Those fleeing the city tend to land right here, and it’s easy to see why. A ferry ride of about an hour gets you to Catalina’s beaches, relaxing cabana-side with a drink in hand or prepping for a hike from ocean to sky. But before you go, look beyond the seaside exterior — you’ll see there’s plenty more to discover about this little watery oasis. 1. Casinos don’t always involve gambling. 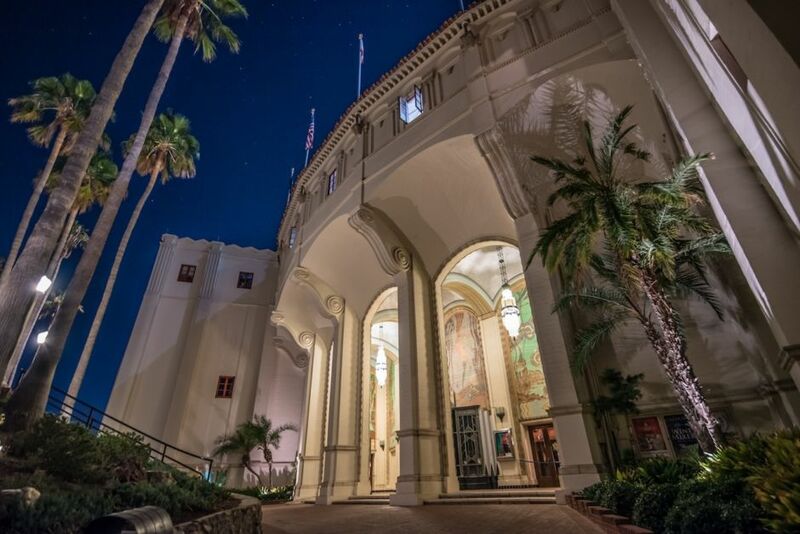 The Catalina Casino takes its name from the Italian definition of casino, which is more along the lines of a house or a gathering place than a gambling hall — which is why there’s actually never been gambling at the Catalina Casino. The iconic twelve-story-high building with its signature circular architecture and tall pillars sits on Avalon Harbor, and it’s a classic California landmark. If you didn’t know any better, you’d think it’s a Greek temple overlooking the Mediterranean. For more than 80 years, the Casino has been entertaining — just not in the ways most people think. The ballroom and onsite Avalon Theatre often showcase special events and showings of first-run movies, and a stone’s throw away is golfing, shopping, and some pretty epic boat tours — after all, it’s right on the water. Be sure to grab a few shoreline shots for your Instagram, and then take one of the Casino’s historic tours, watch a movie in the grand theater, or hit up one of the many festivals and events held at the venue. 2. The hit song “26 Miles” romanticizes the island…but it’s not exactly accurate. Bruce Belland wrote the song lyrics, “Twenty-six miles across the sea; Santa Catalina is a-waitin’ for me” while he was body surfing in Los Angeles. If you want to get technical about it, the actual distance varies by port, but, according to the LA Times, Belland’s friend once pointed to Catalina Island and said it was 26 miles away, and the number stuck. In 1957, he recorded the song with his band The Four Preps, and it went on to reach the number two spot on the Billboard Hot 100 in 1958. From 1942-1945, Catalina Island was closed to visitors and used solely as a military training base. Avalon was a base for the U.S. Maritime Service, training the men who would operate the ships carrying war supplies. The Office of Strategic Services, the U.S. Coast Guard, and the U.S. Army Signal Corps all had bases here, too. Years ago, this was a very different island. Nowadays you’re more likely to catch people ziplining, waterskiing, or hiking. But to throw it back and give a nod to its history, visit the Catalina Island Museum in the new Ada Blanche Wrigley Schreiner Building in Avalon. There’s a permanent collection showcasing island history, as well as rotating special exhibits, like the Chihuly exhibition (you know, the glass all around Seattle/Tacoma). If you’ve never seen an 18-foot chandelier, now’s the time. 4. …but today, even its private beaches are open to the public. Located just north of the Casino, the east-facing beach on Descanso Bay is calm in the morning, but by midday it’s the most happening spot on the island. Descanso Beach Club has the rights to this beach, but all are welcome, and it has become the place to kick back and catch some rays. 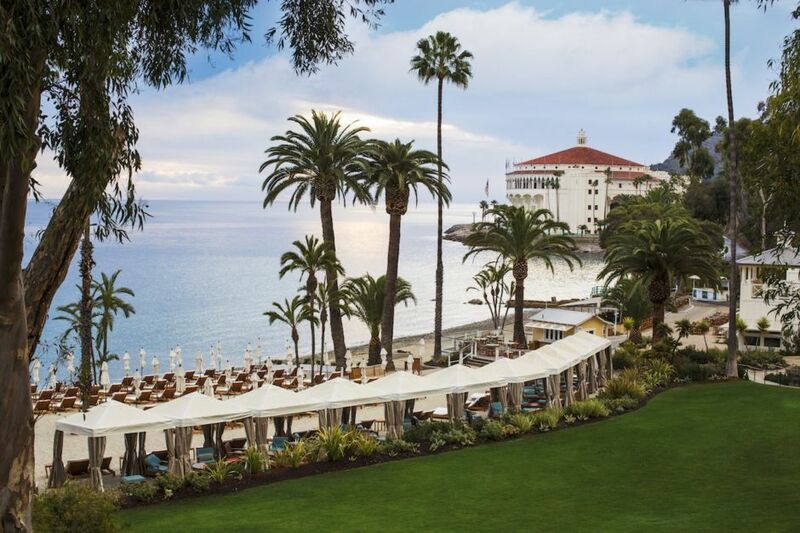 Once you find a spot, drinks and food served from the Descanso Beach Club restaurant and bar are delivered to your private cabana or beach chair. Come by on Saturdays in the summer and there’ll be a DJ on site. The club also offers a number of onsite activities — like the 3,700-foot long zipline tour, 32-foot climbing wall, or the new Catalina Aerial Adventure and Descanso Drop Tower, opening summer 2017. All these options are probably better to do before digging your toes in the sand and ordering a drink or two. 5. “Buffalo Milk” can only truly be had right here. The cocktail, that is. The specialty drink, which is absolutely not made from the milk of a buffalo, was developed during a quiet winter by an experimental bartender in Two Harbors, according to island legend. Crème de cacao, Kahlua, crème de Banana, and vodka are mixed, poured over ice, topped with half and half, and finished with whipped cream and a sprinkle of nutmeg. Now the signature beverage can be ordered at just about any watering hole on the island. Try the original at the Harbor Reef Restaurant in Two Harbors, or belly up in Avalon at Avalon Grille. 6. Arabian horse ranches and vineyards are basically the same thing. 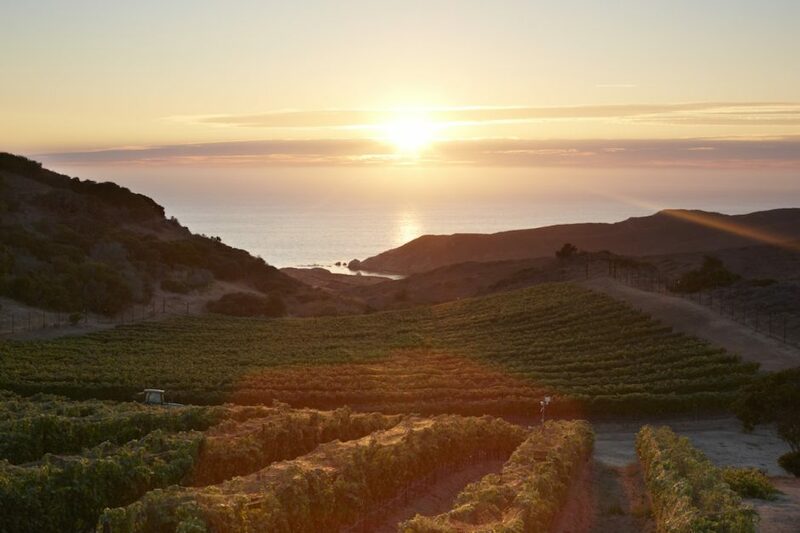 Rusack Winery’s Santa Catalina Island Vineyards grow Chardonnay, Pinot Noir, and historic old vine Zinfandel in the clay and loamy soils of the coastal southwest-facing hillsides. The vineyard plantings at El Rancho Escondido are young, even though the historic ranch is more than 75 years old. Philip and Helen Wrigley (yes, those Wrigleys) once owned these fields, and back in the day, they ran a breeding program for the wild horses of the island. By the 1950s, the ranch was breeding champion Arabian show horses. The Rusack family owns the ranch today, and they’ve traded trophy horses for trophy grapes. There’s no tasting room on the island, but you can order the wines direct through their Isla Wine Circle Club or visit the winery in Ballard Canyon near Santa Barbara (where the wine is made, bottled, and sold). There’s a 20-year waiting list to own a car on Catalina Island, according to the Catalina Chamber of Commerce, but you don’t need one to get around. The city of Avalon, which is only one square mile, allows golf carts on the roads. Plenty of taxis and hotel shuttles will be awaiting your arrival from the Catalina Express, or you can rent a golf cart to get around town on your own. At first walking may sound like an inconvenience, but once ashore, you’ll experience the zen of Catalina like no other California locale. 8. …but hiking is even easier than driving. While the town of Avalon is only one square mile, the island spans 22 miles long and is eight miles wide. There are plenty of trails and dirt roads that cross the interior, but to see these parts of the island, you’ll need to set out on foot or bike, or take an off-road land tour. The best way to see the island is to hike or mountain bike portions of the 37-mile Trans-Catalina Trail, which travels from Renton Mine Trailhead in the east to Starlight Beach in the west. To plot your route and figure out a plan, download the Chamber of Commerce’s app — it’s the easiest way to stay connected. For the record, you’ll need a free permit or a Catalina Island Conservancy membership to hike or bike the interior. That being said, it’s worth filling out the basic forms. Google the views, and you’ll see why. 9. Catalina has the most diverse animal species of any of the Channel Islands. Catalina is one of eight Channel islands; five of the others are national parks. Flora and fauna are a big part of the reason for preservation, but when it comes to biodiversity, Catalina is king. There are four types of amphibians and eight reptiles on Catalina, as well as native and endangered species like the native Baja California tree frog and San Diego alligator lizard, arboreal salamander, and Santa Catalina Island fox. 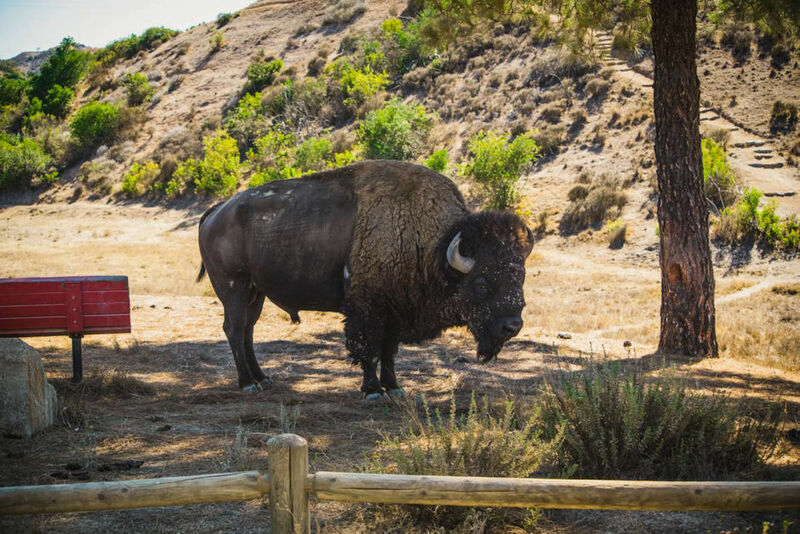 Because of the island’s human population, there are also plenty of introduced species, including the American bison and blackbuck antelope. You could wander the secluded trails and wait for a personal encounter, or just take the self-guided tour at the Avalon Canyon Nature Center and learn about the natural history of the island at your own pace. 10. The Wrigley family is still involved with the island. William Wrigley Jr. acquired the majority of the Catalina Island Company in 1919 and descendants of the Wrigley family are still involved with the company today. Wrigley, whose name you know from Big Red, Juicy Fruit, and Doublemint chewing gums, invested millions of dollars in the island. He made it the spring training location for the Chicago Cubs (Wrigley Field making more sense now?) and built the Casino in 1929. 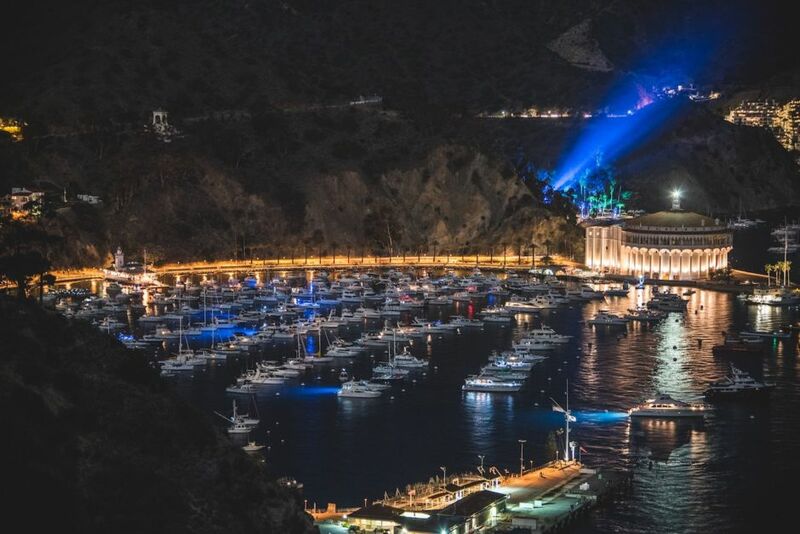 The Wrigleys later donated 42,000 acres of land to the Catalina Island Conservancy for preservation, and the Catalina Island Company is still very much Wrigley-run, specializing in some pretty epic vacation packages from boating to ziplining to camping and back. 11. Record-sized lobster and marlin swim the Catalina waters. Fishing culture runs deep on the island, and a number of California fishing records have been set here. Among other records, a 16-pound 1-ounce spiny lobster was caught in 1968 and a 339-pound striped marlin was caught in 1985. Try your luck, and cast a line — several fishing charters, like Afishinados, offer guided fishing trips for Sea Bass, Yellowtail, and other large sport fish. 12. The oldest trail marathon in California takes place on the island each year. The mid-March Catalina Island Marathon is now in its 41st year, which makes it the longest-standing trail marathon in the state. Endurance athletes looking for a challenge — both in distance and in terrain — can sign up for one of the island’s annual running events hosted by Run Catalina. The island also has a 50-mile trail ultra, a triathlon, an eco marathon, and a half marathon each year. It may sound pretty demanding, but keep in mind the perfect weather and incredible vistas that line the way. This post is proudly produced in partnership with Go To Catalina.